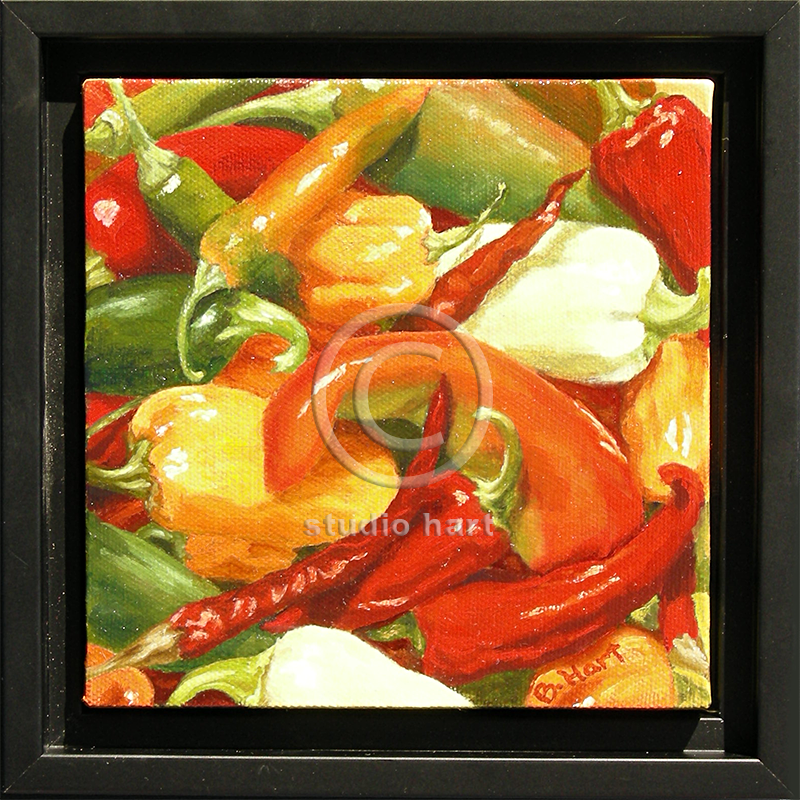 This colorful painting was done as part of a gallery showing featuring small paintings. The particular theme for this was hot. Hence the name Hot Hot Hot! Materials: Original oil on canvas.